Apple flipped the switch today and made the OS X Yosemite beta available for free to those who aren’t enrolled in the company’s Developer Program. And like any other beta release, things didn’t go as smoothly for some users. The issue arises when the user goes through the process of signing up for the OS X Yosemite beta and is presented with a ‘Redeem Code’ page on the Mac App Store. And instead of simply redeeming the code like it’s a walk in the park, the Mac App Store throws the user with a ‘This code has already been redeemed’ error, despite the fact that the code is a freshly generated one. But don’t fret, the fix is a rather simple one, and following the steps below will get you up and running in no time. Step 1: Sign up for the OS X Yosemite beta. Follow our step-by-step guide on how to do so: Download And Install OS X Yosemite Beta Right Now For Free, Here’s How! 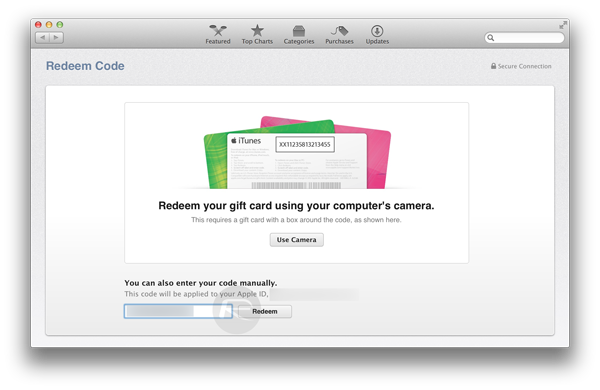 Step 2: Once you’re at the screen where you’re presented with the redemption code in Safari for the first time, simply refresh the browser, and you’ll be presented with a new code. 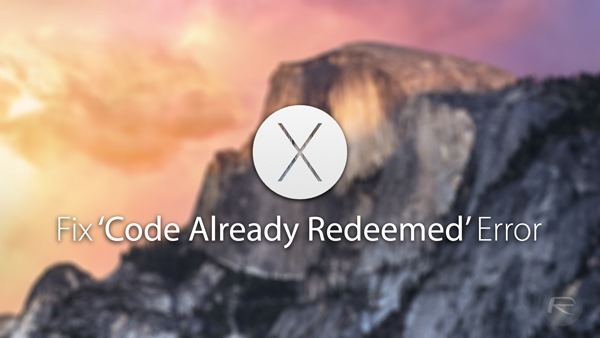 Enter the new code in the Mac App Store and click the ‘Redeem’ button, and you’re good to go. Though the issue is a minor one, but going through different social networks, especially Twitter, has revealed that it has put off a lot of users. But following the above guide fixes the issue, and it also worked for us without any hiccups. On the positive side of things, installing OS X Yosemite will bless you with a ton of eye candy and enhanced features . And if you want to stay ahead of the game, or just want to brag about Yosemite, then downloading the beta is the way to go. I’m having the redemption code problem, but refreshing the page as instructed (or going back to it even hours later) does not generate a new code for me. Same problem as Anthony, refreshing DOES NOT get a new redemption code! Me 2. Refreshing DOES NOT get a new redemption code! if you leave the program and come back you can get a new code, but now I’m having an issue where the “Redeem” button doesn’t show up. So, I still can’t install.